This salad is so tasty! It’s my favourite thing that I’ve made in a while, particularly as it uses so many delicious spring flavours. 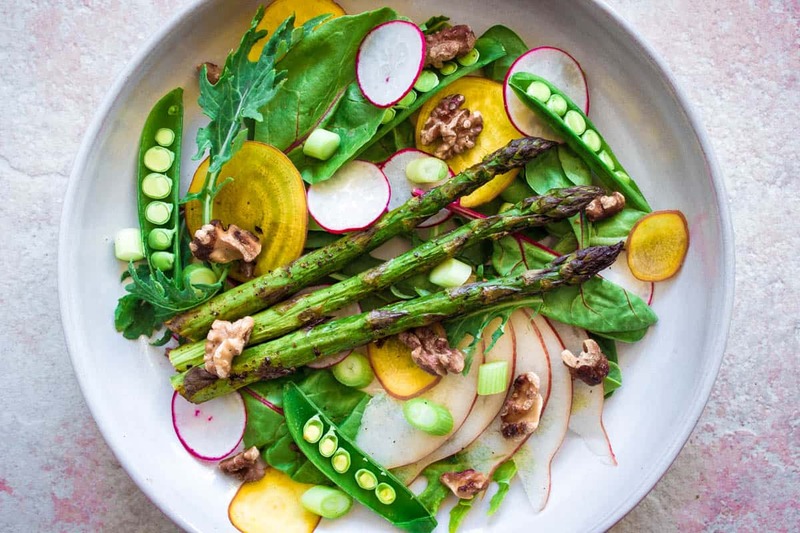 There’s something about the arrival of asparagus, radishes, golden beets and sugar snap peas in the shops that just makes it feel like spring, regardless of what the weather may be doing right now! One of the things I love about this Spring Colours Salad is the amount of raw vegetables it contains. You’re definitely getting a good hit of nutrients from the different colours and from the fact that most of the veggies haven’t been cooked. This salad works really well as either a starter, side or main dish. If you’re making it as a main dish however, I recommend adding a few extras to make it more filling, such as grilled tempeh, avocado, and/or boiled baby potatoes. 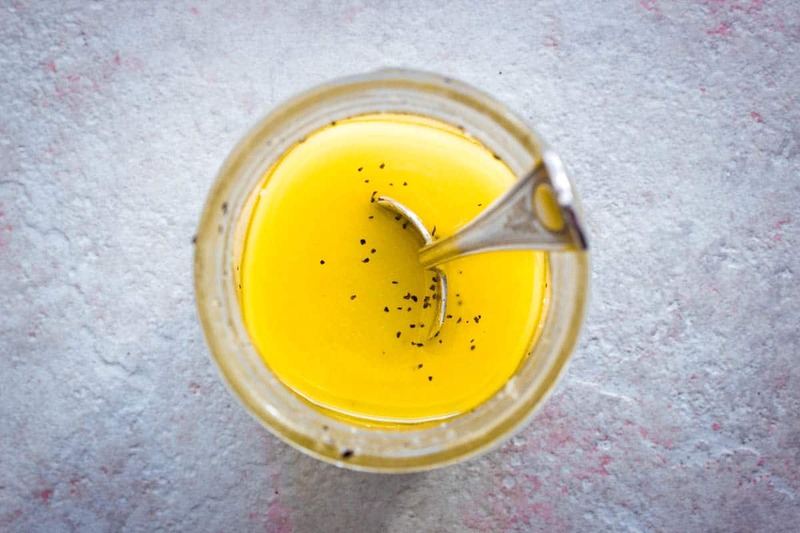 To make the dressing, simply add all ingredients to a jar and shake vigorously for about 30 seconds. Set aside. 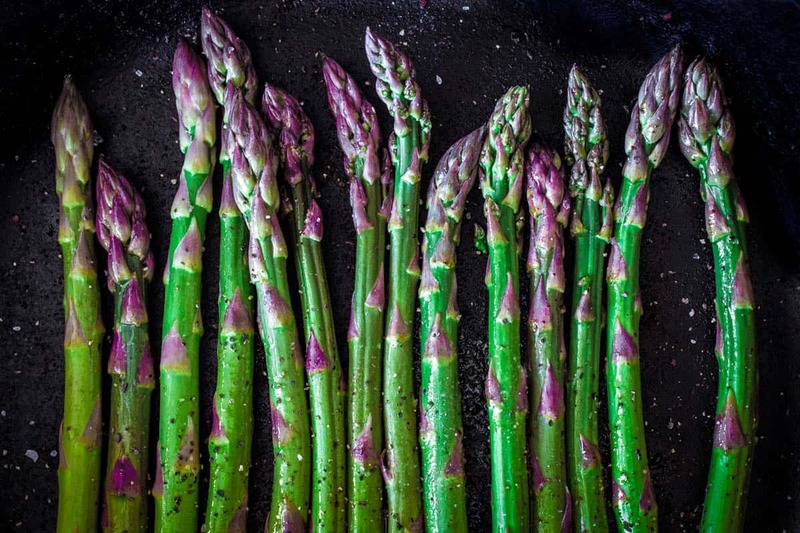 Trim the ends of the asparagus, then place them on a baking sheet. Lightly brush with some of the dressing and place under the grill for about 3 minutes, until the colour is vibrant and they are starting to soften. (Asparagus cooks really quickly and it’s easy to overdo it! As soon as I see the colour change, I bite into a piece to check it’s softened, and then remove it from the grill.) Remove and set aside. Using a mandoline or sharp knife (a mandoline makes this MUCH easier and probably safer), very thinly slice the golden beet, radishes, spring onion and pear into a bowl with the greens and walnuts. Slice the ends off the sugar snap peas. Turning them lengthways, slice along the length of each pea and add them to the salad bowl (this is a pretty way of doing it – but you can just slice the peas into chunks!). Add the asparagus to the salad bowl, drizzle the dressing over the top and mix all ingredients together. Serve in large bowls and enjoy.